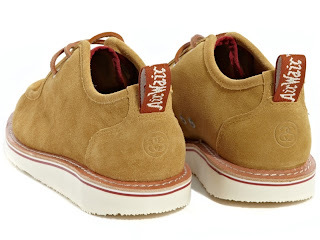 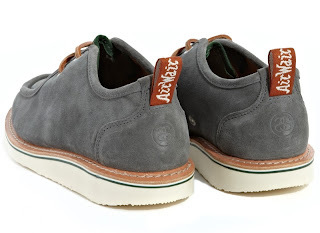 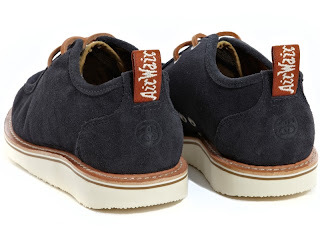 Dr. Martens and Stussy Deluxe team up again for Spring 2012, marking their third partnership. 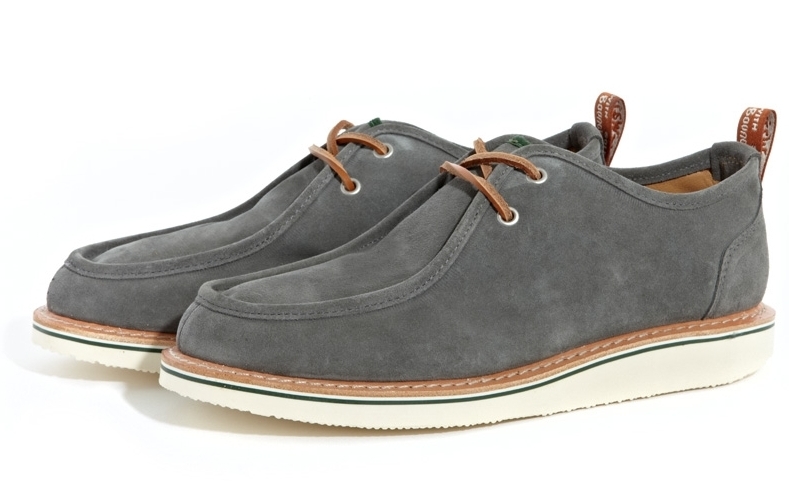 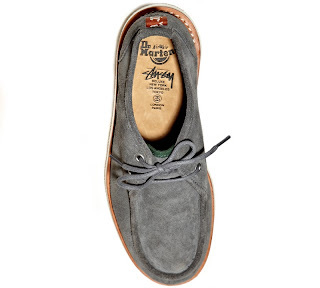 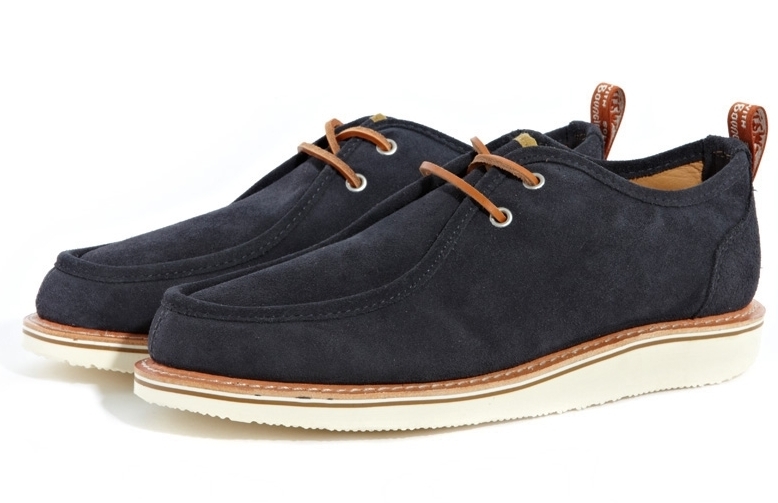 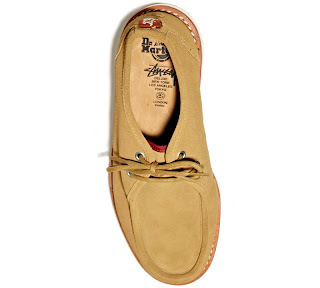 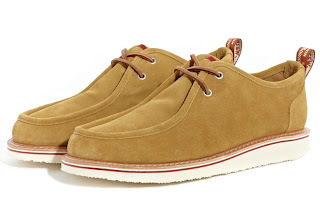 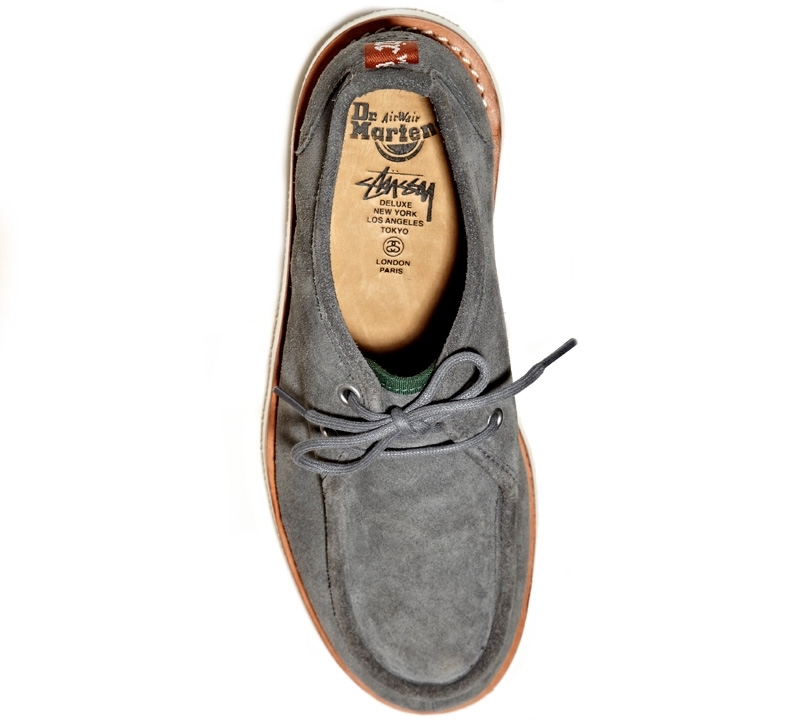 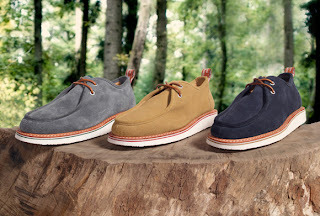 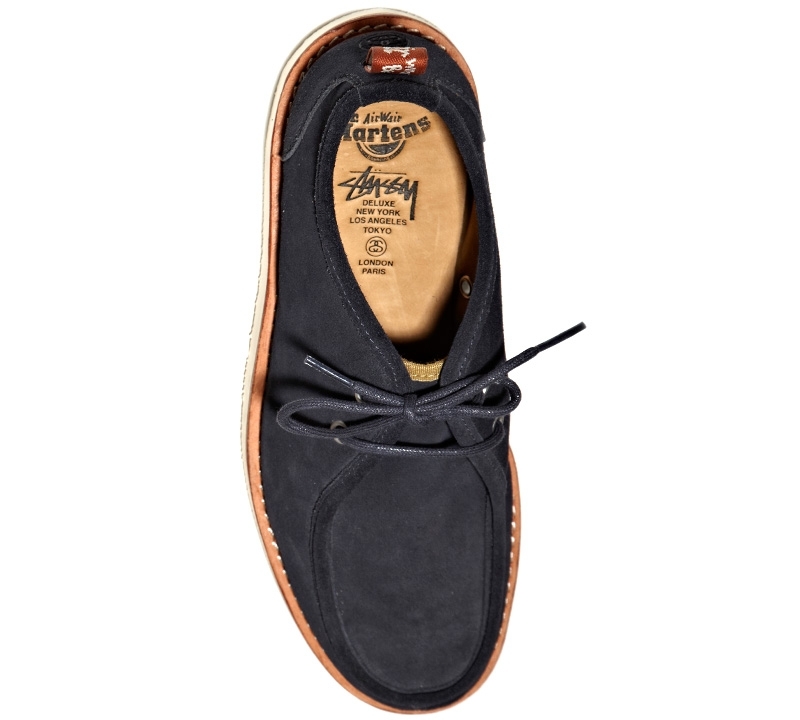 The Hambleton II is a two eye, moccasin toe shoe with a subtle suede exterior and full leather lining. The upper and sole are sewn together and heat-sealed (not glued) and tastefully finished with the traditional Dr. Martens woven heel loop. 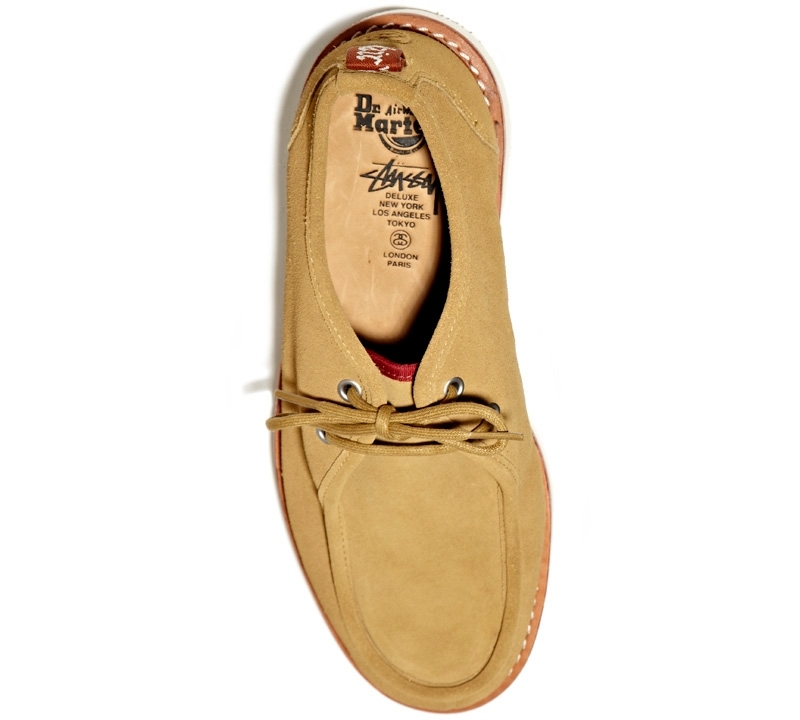 Each pair includes two pairs of laces- tan leather and tonal waxed cord.